What is Keyboard Shortcuts in Microsoft Word? Keyboard Shortcuts keys are play an important role in our daily computer work, they make our working speed on computer is much faster. 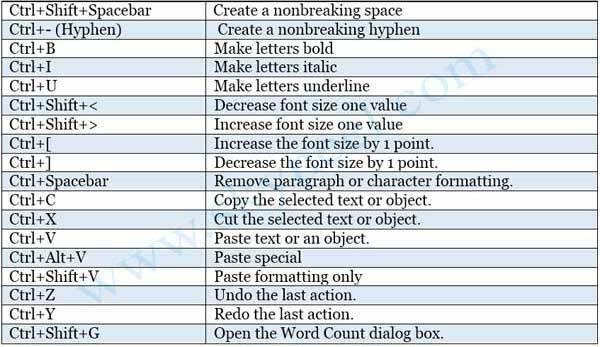 There are few useful shortcut keys are given below of MS Word. You can also see the computer shortcut page if you are looking for other shortcut keys used in other programs. These shortcut keys are nothing it is a set of few keys or combination of keys which is used to run any specific command in Microsoft Office, any application software or an operating system. In shortcut keys you can use some general key combinations which is used by Ctrl or Alt or Shift keys. You can also use some Function keys for special purpose, like by pressing F7 function key in Microsoft office you can make your document error free by checking spelling and grammatical errors. These shortcut keys are not case sensitive, means if you want to make bold any selected text in the active document by pressing Ctrl+B or Press Ctrl+b. These general task shortcut keys in MS Word is specially used to apply different kind of formatting and editing on all selected text in the active document. For e.g. If you want to apply paragraph or character formatting on then you have to apply following given steps: Select the formatted text which formatting you want to copy >>> Press Ctrl + Shift + C (For copy character or paragraph formatting from source location) >>> Select the target text on which you want to apply or paste text formatting >>> Now, press Ctrl + Shift + V (For paste character or paragraph formatting on target location). 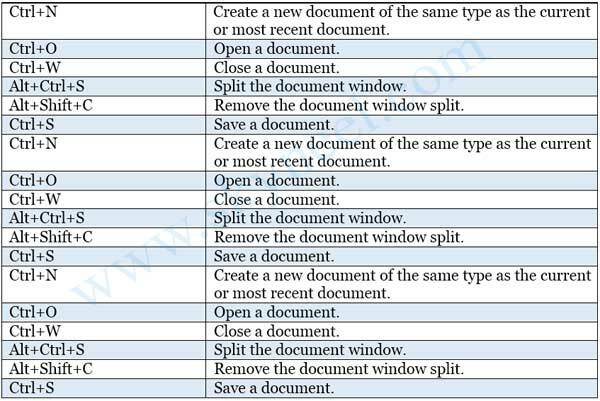 These kind of shortcut keys in specially used for creating any new document, open an existing document, close any active document, permanently save any kind of data in the active file, inserting or removing document split window in MS-Word. These kind of shortcut keys in specially used for searching or finding any character or text in active document, scrolling the page and also switching the views of your document of active document in MS-Word. These kind of shortcut keys in specially used for deleting any selected text, changing the view of active document, moves selected paragraphs location either top or bottom in active document. You can also change the styles of selected text by pressing following given shortcut keys. I hope you like these Keyboard Shortcuts. 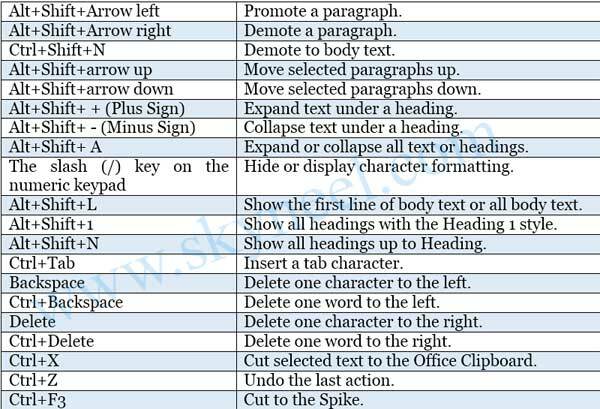 These Keyboard Shortcuts key of MS Word is very helpful for all those persons who are doling lot of official and personal work on his PC or Laptop. Give your important suggestions in the comment box. Thanks to all. My wireless keyboard: Changed battery, but believe I accidentally typed a shortcut and now I can’t type anything – any suggestions?